2018 is here, and we have huge plans in store for SPLASH. We’ll kickoff the winter program off on January 10 at 6pm. 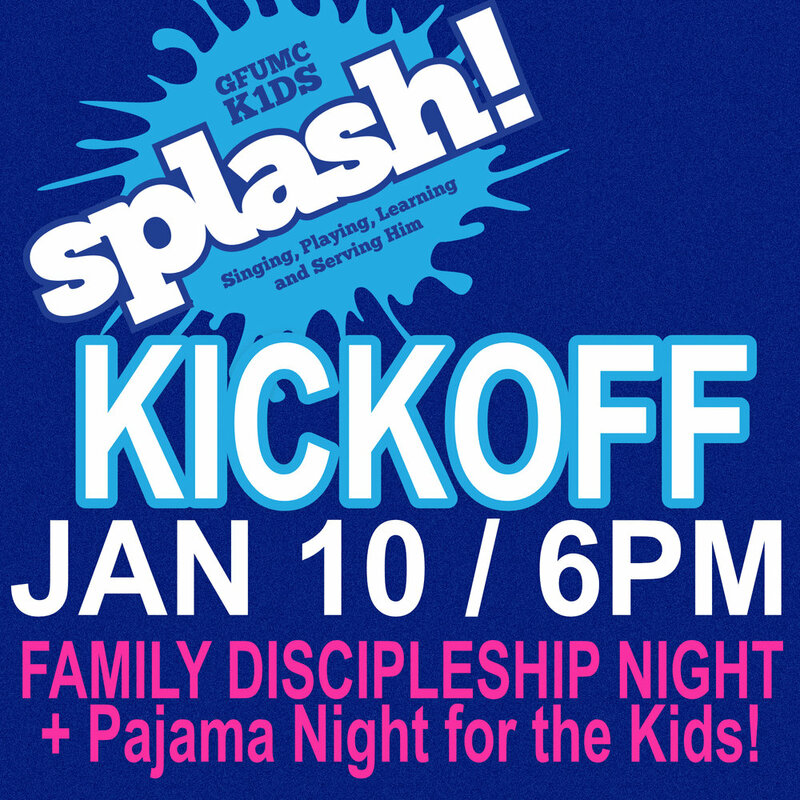 Check in at the Children's Welcome Desk, and don't forget to wear PJs to SPLASH for Pajama Night! Parents, before dropping your kids off at SPLASH, we have a place for you, meet us in the GREAT Room (and bring the whole family) from 5-6pm for a great meal catered from Moes (Cost $10 per person, $20 family max), this night will give you a chance to have a bird’s eye view of the programs and studies that begin the following week, January 17. We can't wait to see your whole family at this special night!